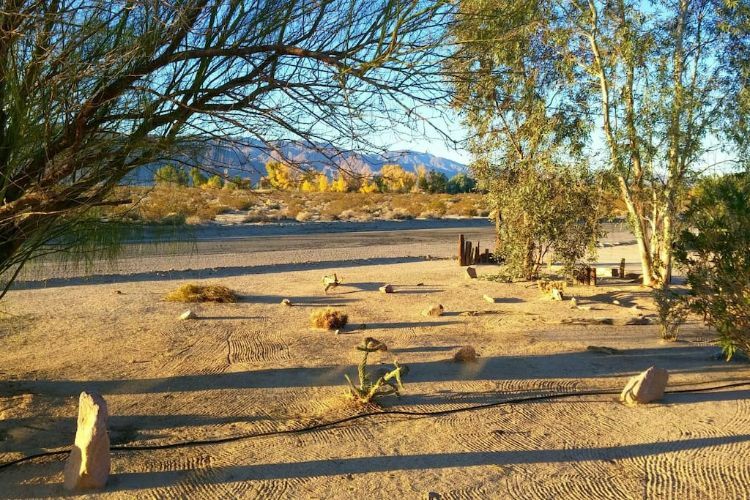 Camping is one of those great, family-friendly activities that rarely grows old. Who can pass up the quality bonding time that comes along with roasting marshmallows around a fire or exploring America's greatest national parks? 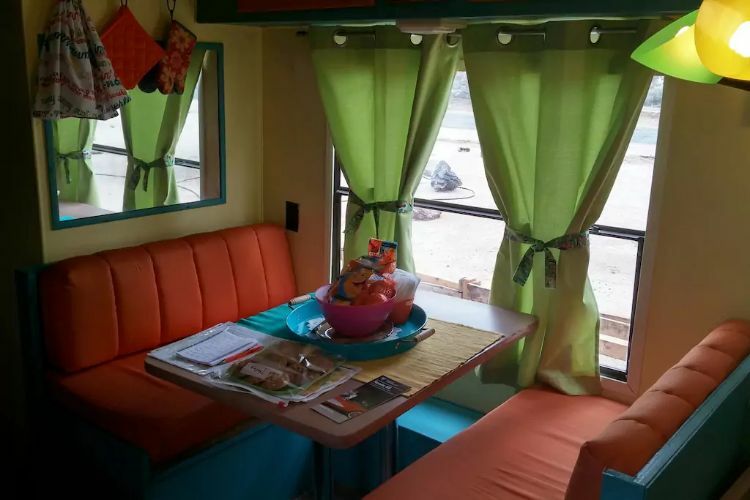 This particular camper is especially kid friendly and is guaranteed to leave visitors feeling happy and young again. 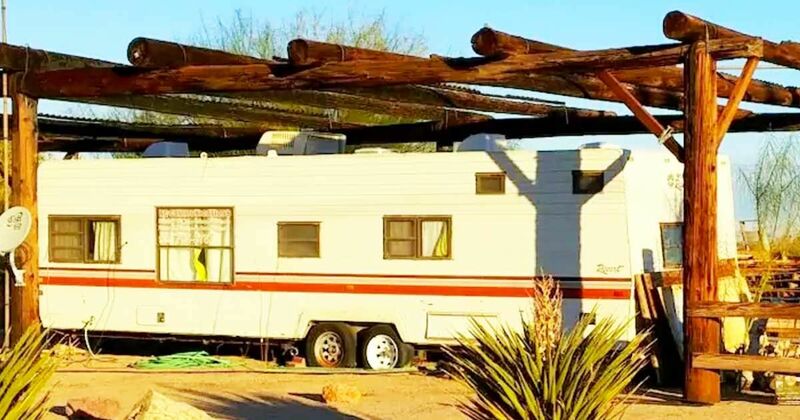 This fantastically renovated 1987 Terry Trailer is available to rent through Airbnb. The host, Rose, designed the interior so that she could go out and have fun with her grandkids. After seeing the inside, we bet her grandkids loved it and we think yours will too. 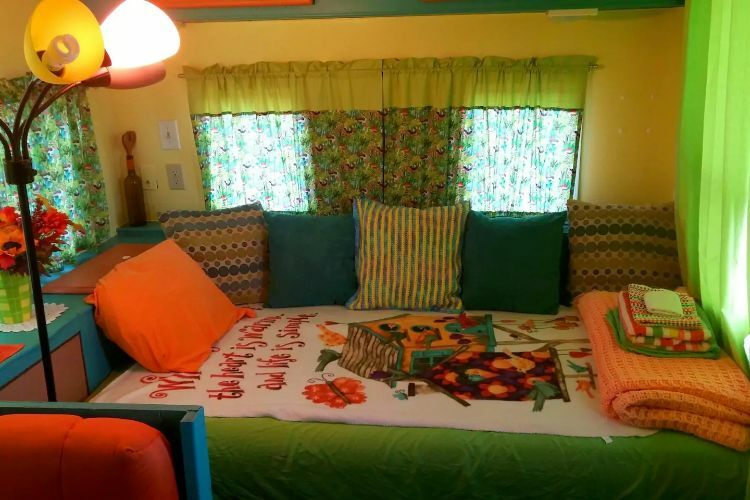 Every surface inside this camper is a different color or pattern creating an interior that is bright, bold, and incredibly fun. When you first step inside, it is hard not to fall in love with this place! You can tell that everything is decorated with the utmost care. There is always something unique to look at and something new to see. This kitchen looks like it belongs in a doll house. 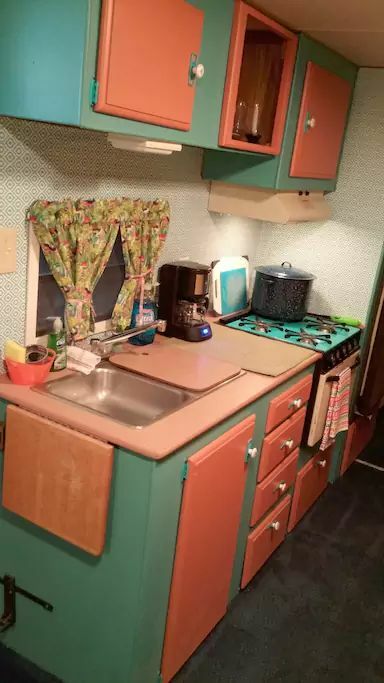 Not only is the kitchen fully functional, the cotton candy color scheme is absolutely darling. Start your morning off right by gathering around the table in this adorable breakfast nook. 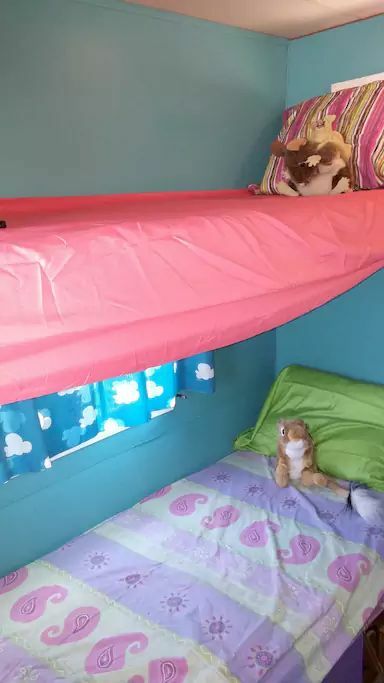 Kids will have a blast picking out their own bunk bed. 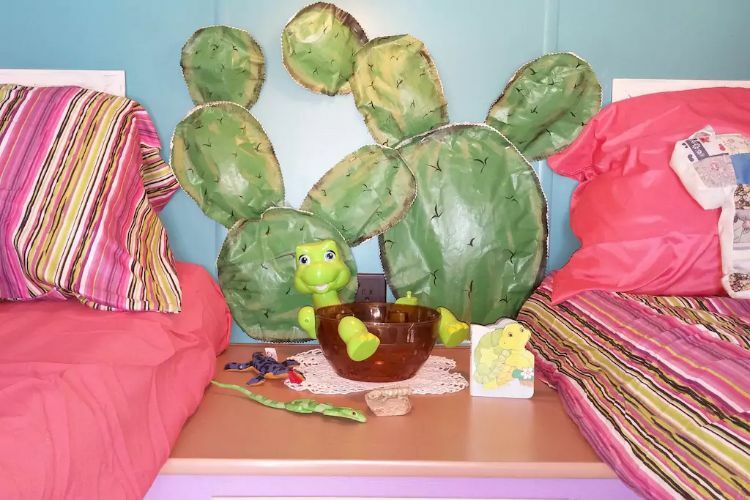 The top bunks even have some fun desert themed decorations. 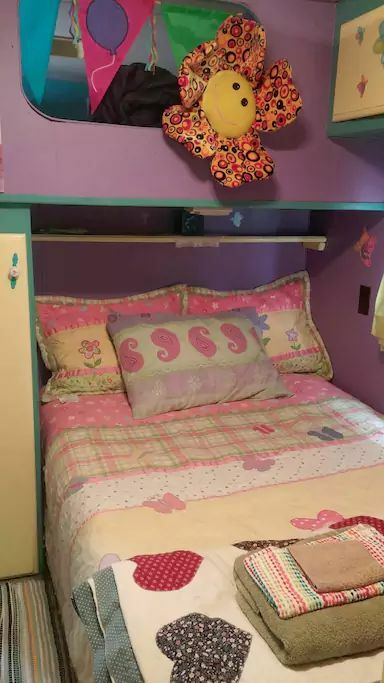 A full sized bed is available for the parents as well as a futon located in the living room. 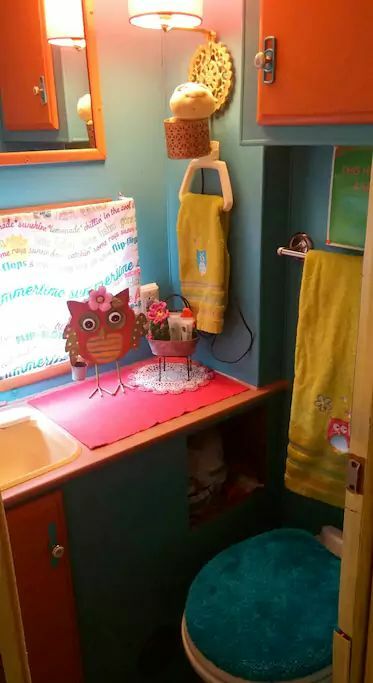 Just because it is the smallest room in the house doesn't mean the bathroom doesn't get the same colorful treatment as the rest of the camper. Don't forget to step outside and admire the beautiful views just beyond your front door. What do you think of this colorful renovation? Share this article with your friends on Facebook and let us know in the comments!